Orbital ATK’s Minotaur C rocket and Planet’s six SkySat and four Dove spacecraft. The commercial launch of 10 Earth imaging satellites that have all been designed and manufactured in California’s Bay Area, is scheduled for October 31 from Vandenberg Air Force Base, at 2:37 p.m. PDT launch. Orbital ATK’s commercial Minotaur C provides a cost-effective and reliable launch capability for satellites weighing up to 3,500 pounds. Orbital ATK’s commercial launch vehicles have been moving to reduce costs through incorporation in common flight-proven systems across their product lines. Minotaur C includes the fairing, navigation, software and other systems common with the company’s Minotaur and Pegasus rockets. The Minotaur C program supports commercial, international and select U.S. government customers. 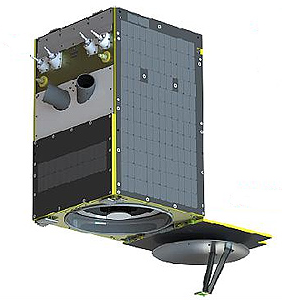 The Dove and SkySat satellites are some of the most capable spacecraft per kilogram, capturing medium and high resolution multispectral imagery of Earth at unprecedented scale and frequency. A record-breaking 271 Dove satellites have been successfully deployed and operated in space and today collect more imagery per day than any other commercial provider. The SkySat constellation of 7 SkySats, soon to be 13, is the world’s largest commercial, sub-meter fleet of high-res satellites operating in space. Together, the Dove and SkySat network of remote sensing satellites deliver a global information feed to businesses, governments, and NGOs around the world.